Three cheers for the solar powered boat that is crafted out of recycled plastic along with other eco-materials like bamboo and natural fibers. Dubbed, the Loon, this green conceptual boat is the brain work of Jason Hill of Eleven and Nathan Armstrong of Motive Industries. Yeah they are the same team that designed the much-discussed eco-friendly car Aptera. 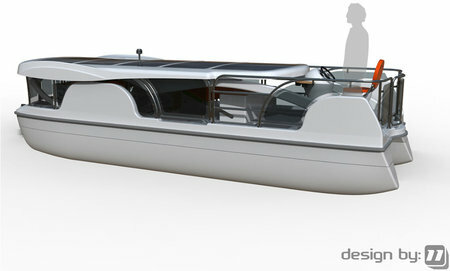 Sporting a solar powered SunRise roof, this water baby can generate of 1000W of clean green energy. 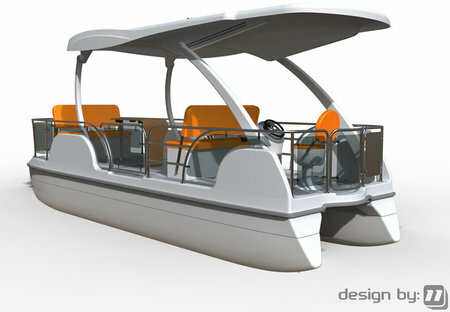 It is also capable of vehicle-to-grid (V2G) energizing system. This means that once its AGM batteries are exhausted, the solar power is fed back into the grid as it idly docks. 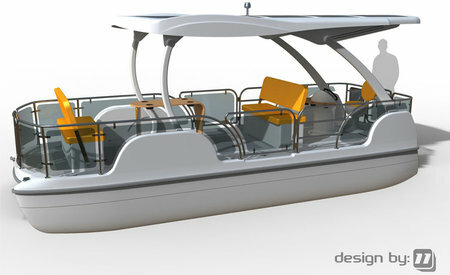 This 22-foot eco-water-craft is estimated to travel about 35 miles a day with a top speed of 7 knots. The collapsible green roof can also be lowered to enjoy the twinkling stars by night. An electric motor has a manatee-friendly shroud around the propeller that increases efficiency and thrust. 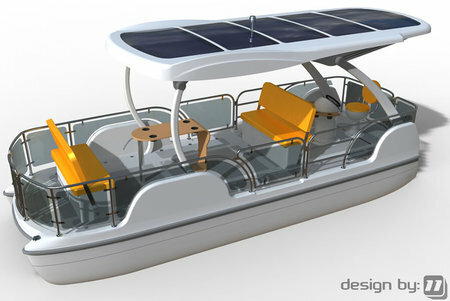 This solar powered water vehicle is set to hit the production this summers. Hope to see it sailing over the blue waters in a clean green style!